Welcome to the newest subdivision in De Soto! 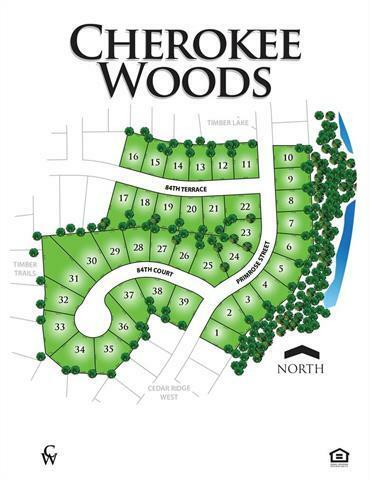 Cherokee Woods, consisting of 39 lots, sits within walking distance of schools and the new Lexington Lake and park. Multiple plans and home styles available. Use one of our builders or bring your own builder! Taking lot reservations now.Lot 1 is a wooded walkout lot backing to green space. Perfect for a Reverse 1.5 or ranch with a walkout basement!